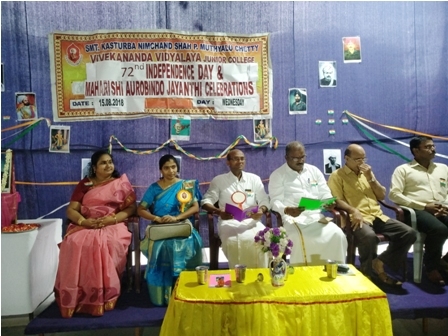 15.08.2018: 72nd Independence Day Celebrations was celebrated in our school premises: Sri M. Vivekanandan- Pranthsaha Bowthik Pramukh Sangh Pracharak, RSS,Uttar Tamilnadu and Dr.S.Anitha- alumnus presided over the function. 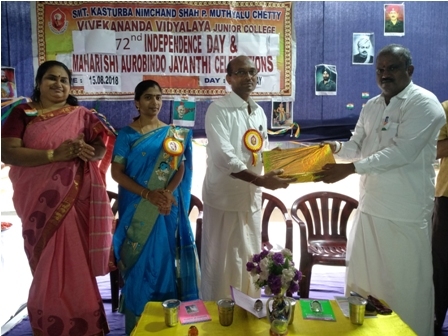 Sri.M.Vivekanandan advised the students to love their country as their mother . 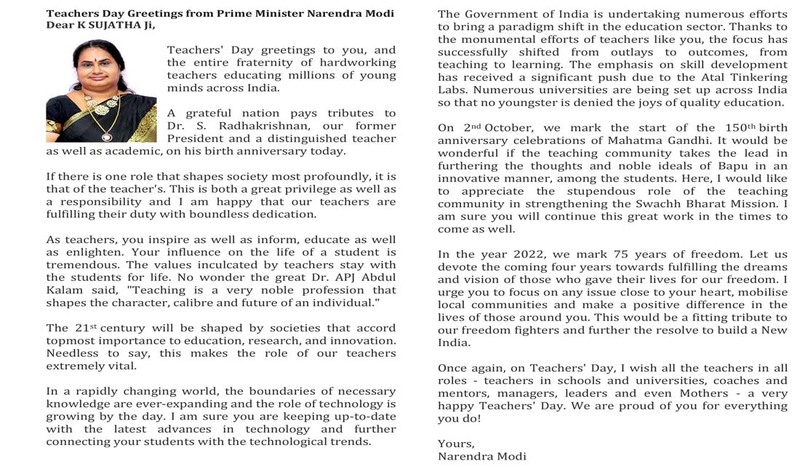 He also spoke about the cultural heritage of this great nation. Speech on Param Veer Chakra Awardee Major Ramasamy Parameswaran was given by E.S.Kanishkar , XII A. Culturals related to Param Veer Chakra Awardee captivated the audience . The Chief guests and our NCC students offered flowers to Bharath Matha and Major Ramasamy Parameswaran. 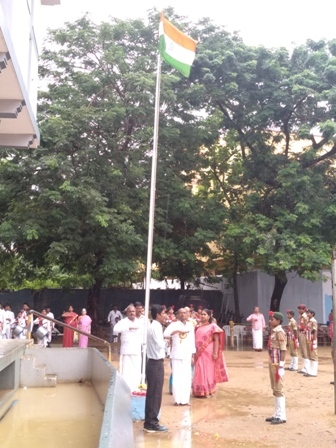 The air was filled with the sound of patriotic song rendered by the students. 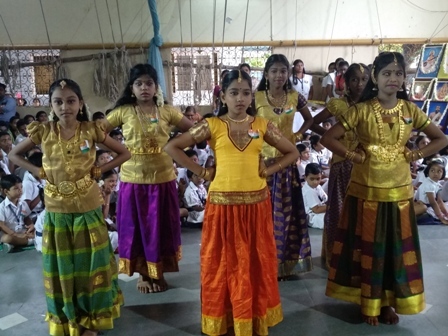 15.08.2018: 72nd Independence Day Celebrations at various Places: To kindle patriotism and imbibe Bharathian culture in the young minds, Vivekananda Educational Society has decided to celebrate Independence Day in and around Perambur in a grand manner. 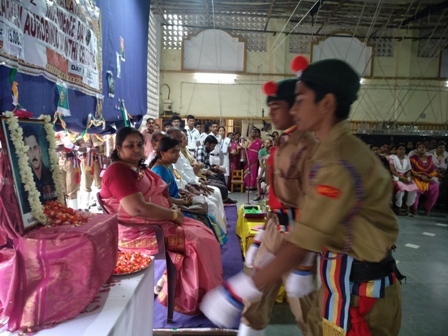 Students and public paid their tribute through floral offering to Bharatha Matha’s Portrait, distributing flags and sweets to the public in Tewnty five different places in and around perambur.